For current iMindMap 6 users, a pop-up will appear in the iMindMap desktop software, letting you know that this update is available. You can also click on Tools and then Updates, and follow the simple on-screen instructions to receive the 6.2 update (or Help and then Updates on a Mac). With iMindMap 6.2’s new social sharing feature, you are able to share your Mind Maps as images on Twitter and Facebook at the touch of a button. It couldn’t be simpler – take a look at the video below to see it in action. For those of you who have been begging us for a way of sharing an interactive Mind Map with anyone, the answer is here! You will be able to share a unique link to your map using the new iMindMap Viewer. Users will be able to pan around, zoom, use the integrated search option, expand and collapse branches, view notes and click links – all within the Viewer. There is even a feature for the map’s creator to embed a map in a website. You can find out all about the Viewer and how to embed a map by watching the Public Sharing and Embedding Tutorial Videos. When you are creating your ‘slides’ and trying to get the perfect look for your presentation, you can use this new feature to have even better control of what the audience will see. Working seamlessly with the slide customisation tool, you can make each slide, bigger, smaller, rotate it and now position it anywhere you want. You can now choose from 16 different shapes for your box branches and fill them in with any colour of your choice. iMindMap 6.2 will also have a further 11 assorted shapes and colours for your flowcharts, so you can make them as bespoke as you wish and ensure that they really stand out. Completely new for 6.2 is the ability to add a shape and colour to Floating Text – all 16 of the box branch shapes are available for this. 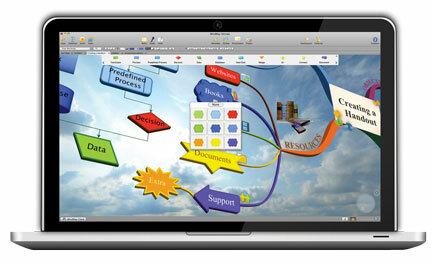 What kind of iMindMap update would this be without a barrel-full of new images and central ideas? Our Development and Creative Media teams have ensured that you now have even more choice when Mind Mapping in two or three-dimensions. We hope you’re going to love to new features – don’t forget to let us know what you think! 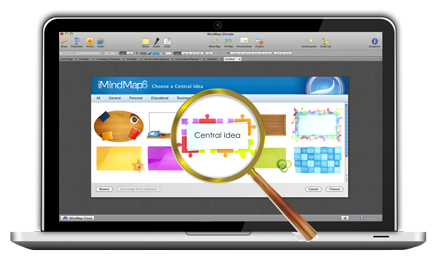 If you don’t have iMindMap 6 yet then you can buy it, along with all the fantastic 6.2 features, from our website here. *Selected features only available in iMindMap 6 Ultimate. What actually is Mind Mapping? Be part of our community and stay up to date with all things iMindMap and creative thinking.